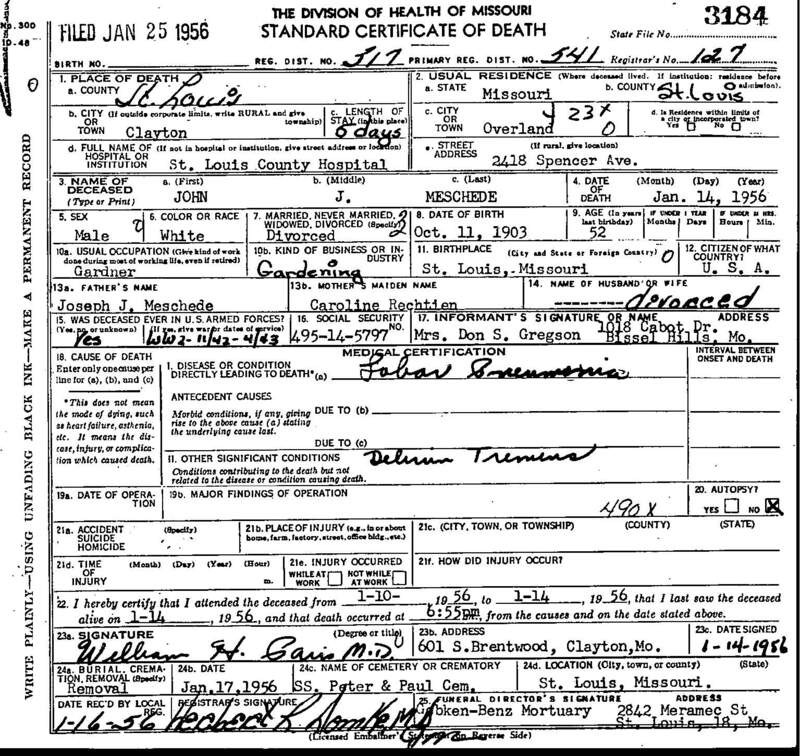 "Death Record - John J. (Sr.) Meschede"
Birth location: St. Louis, Missouri. Death location: St. Louis County Hospital, Clayton Township, St. Louis County, Missouri. Burial location: SS Peter and Paul Cemetery (formerly the German Evangelical and Reformed Church Cemetery), St. Louis, Missouri.